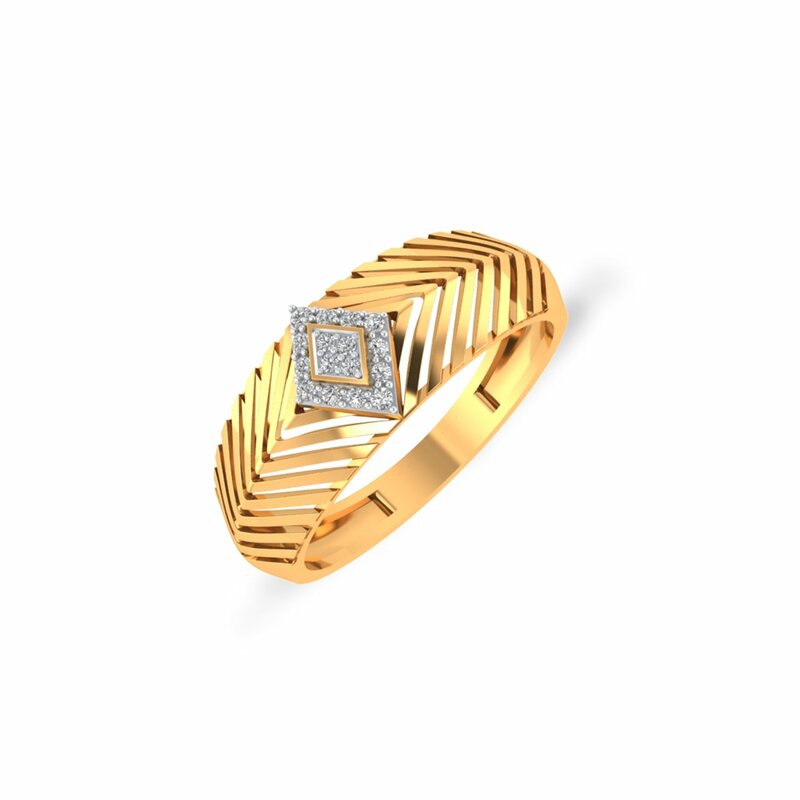 More than the diamond-studded centre-piece, the linear cuts along this everyday ring draw your attention to this piece. Overall, it appears like the wearer has rolled the palm leaf around the finger. Not noticing this captivating pattern is next to impossible. So while this diamond ring entices you at once, it is a show stealer at the parties too. Get ready to handle this newfound popularity!